Magda Herzberger, 87, is one of the few remaining survivors of the Holocaust. She is a distinguished poet, lecturer, composer, and the author of several books, including Survival, the compelling autobiography of her childhood and suffering in three Nazi death camps during World War II. Through her books, poetry, music and public speaking engagements, it is Magda's goal to keep the memory of the Holocaust alive, to instill love for poetry in the hearts of people, and to show the beauty of life. 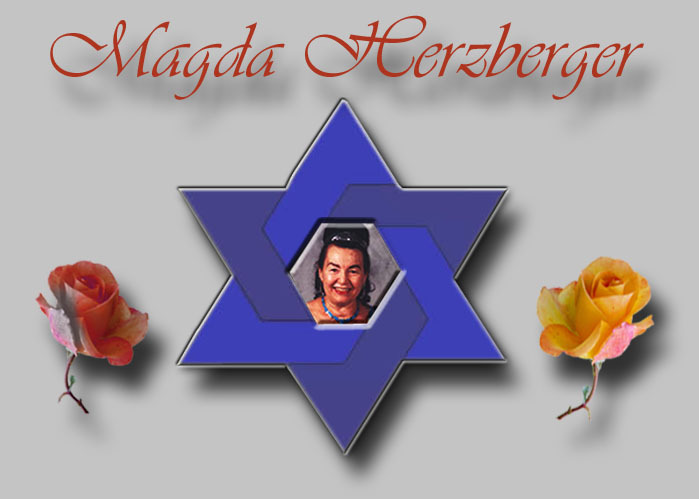 Please make sure to visit Magda Herzberger's blog at www.magdaherzberger.blogspot.com, for announcements and new books!